GEORGIA’S YOUNG LADIES WERE NOT ABLE TO ATTEND. NOT ENOUGH PLAYERS. ANOTHER GREAT KSD CLASSIC WEEKEND. Academy also would not qualify. win. McKenna and Courtney both finished with 16 points. On Saturday we took on Fanwood and it was a very similar game to Friday. Avion Henderson chipped in 7 points. The Lady Bisons hosted the Lady Panthers of Pennsylvania on Saturday. was a 46-26 loss. Cami Cole led the way with 15 points and 8 rebounds. chipped in 4 points and Aleyshka Rivera-Nieves had 2 points. to multiple Tri-Valley League, District III, and District VI championships. anything without trouble. However, he was recently given cochlear implants. he wore hearing aids all his life until he became completely deaf late in life. Even with hearing aids, he had to struggle to catch every spoken word. 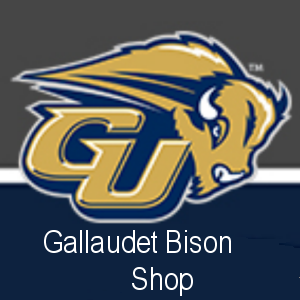 football at Gallaudet, coached the Georgia Tech football team. coached the 1887 Purdue University football team. past teams were coached by the deaf. been a great accomplishment by deaf coaches.